EMPLOYMENT LAW	Fight discrimination, sexual harassment, and other employment law issues. PERSONAL INJURY LAW	If you or a family member has been injured, we can help. BUSINESS LAW	Are you involved in a business dispute? Chris Olsen can represent you. DISCRIMINATION	If you are experiencing workplace discrimination, Chris Olsen Can Help. 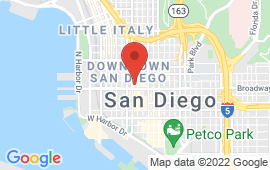 Attorney Chris Olsen is an experienced labor, business, and personal injury lawyer in San Diego who has practiced since 2005. He has successfully litigated a wide range of cases and has secured millions in damages for his clients. Though he resolves many of his cases through pre-trial negotiation, he is not afraid fight in court, even against major corporations. He is also a trusted lawyer for class action suits, especially for cases related to labor and employment law. Thanks to his success in several high-profile cases, he has developed a reputation for his courtroom manner, dedication to his clients, and willingness to take on the most challenging cases. Contact us today to schedule a free consultation. If you have been injured because of another party’s negligence, you are entitled to financial compensation. However, you may be facing difficulties in obtaining your rightful compensation for a number of reasons. Often, insurance companies will deny all or part of a claim. In other cases, the responsible party may be uninsured, or you may have trouble proving responsibility. Chris Olsen handles all types of personal injury cases, including auto accidents, slips and falls, wrongful death, and catastrophic injury. He will provide comprehensive counsel, taking the time to investigate the accident, understand your injury, and find out how it has affected you. 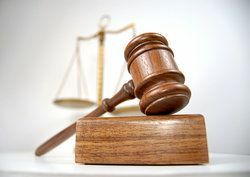 He can then provide hard-hitting legal representation to secure the compensation you deserve. Chris Olsen is passionate about protecting mistreated workers and establishing equitable working conditions in California. He is ready to provide effective legal representation in a wide range of employment and labor issues. One of his biggest areas of practice is wage and hour disputes. If you are being paid below minimum wage, have been denied overtime pay, have not been reimbursed for business expenses, or have been expected to work without pay, you may have a viable wage and hour lawsuit. In addition, Chris Olsen has handled a number of cases involving discrimination, sexual harassment, wrongful termination, and whistleblower retaliation. Many times, the best way to challenge the actions of a major business is through a class action lawsuit. In these cases, a group of people who have been similarly mistreated join together to sue a common entity. This type of lawsuit gives more power to individuals, and makes it possible for those with small claims to recover their just compensation. Chris Olsen has earned a reputation for successful class action lawsuits, particularly in wage and hour disputes and consumer class action cases. In fact, he represented the plaintiffs in the landmark Hohnbaum vs. Brinker cases, which helped to improve break and meal requirements for workers in California. Similar to class action lawsuits, mass torts can be brought against manufacturers of dangerous drugs and defective products. Mass tort litigation differs from class action in that decisions handed down by one court are not legally binding on all plaintiffs, and each individual claim is treated separately. Chris Olsen is currently investigating claims in several pharmaceutical injury cases: The Xarelto® lawsuit is looking into the connection between the medication and uncontrolled bleeding events. We are also analyzing evidence concerning the use of Zofran and the risk of birth defects in children. Invokana® is a commonly prescribed diabetes medication that may lead to ketoacidosis, a condition in which acid begins to accumulate in the bloodstream. We are also looking into claims involving defective medical devices. Many patients have experienced complications after having an IVC Filter surgically implanted to protect against blood clots migrating to the heart. Additionally, we are looking into the higher incidence of patients developing deep joint infections after having a surgical procedure in which a Bair Hugger warming blanket was used. Chris Olsen has proven expertise in business practices, and has represented both individuals and businesses in numerous breach of contract cases. He handles all types of contract disputes, including those related to employment contracts, lease agreements, and goods and services contracts. If you are the victim of a broken contract, Chris Olsen will thoroughly investigate your case and fight for your rights and financial compensation. In addition to contract law, Chris Olsen provides excellent legal services for owners of small- and medium-sized businesses. If you are starting a new business venture, he can assist you in completing the necessary registration and setting up contracts. He also serves as an agent of service and external general counsel for both start-up and established businesses. To learn more about how Chris Olsen can help you with your personal injury case, employment dispute, or business matter, contact Olsen Law Offices today and schedule a free consultation. The aftermath of an auto collision can add more stress to an already traumatic event. Insurance companies may try to give you the runaround or pressure you into settling your claim prematurely. If you've suffered damages because of the negligence of another driver, Chris Olsen will work to ensure you receive fair compensation. When a large company commits a negligent act, the victims can number in the hundreds or even thousands. Employees may be denied their lawful wages or consumers may be affected by harmful manufacturing errors. Attorney Chris Olsen knows how to fight for the rights of groups of plaintiffs, who gain power by filing a lawsuit together. The rights of employees are protected by law, and if your employer is not following these statutes, you can - and should - take action. We will help you receive just compensation for illegal treatment at work. If you've been denied breaks, minimum wage, overtime pay or expense reimbursement, contact attorney Olsen today.